If you have Parkinson’s Disease (PD), your doctor has probably told you of the importance of exercise. 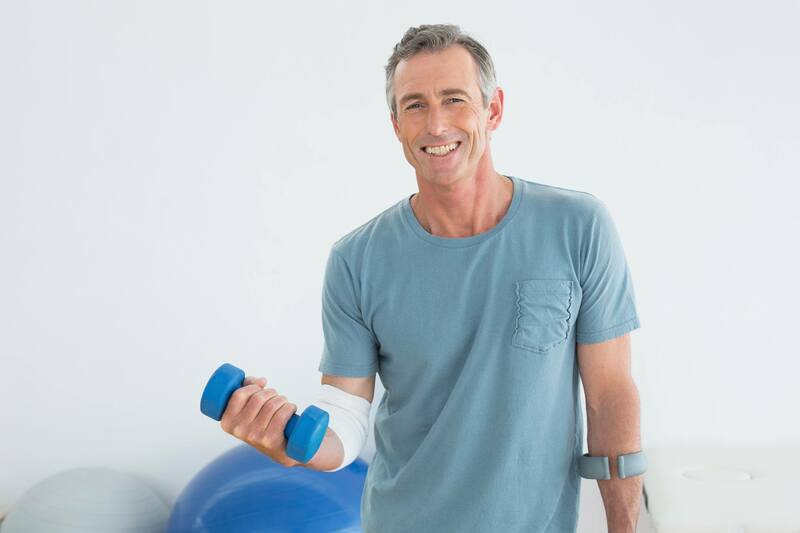 As some of NYC’s best personal trainers, we’ve helped many people with Parkinson’s who have been referred to us by their neurologists and movement disorder specialists. A body at rest stays at rest. And a body in motion stays in motion. So when you have PD, you *need* to keep moving—to the best of your ability—every day. This will help control the symptoms of PD. We are defining activity as some kind of movement that gets your heart pumping: walking outside, working out on cardio equipment at the gym, gardening, dancing, etc. It is not: sitting on your sofa (though we wish this could count toward exercise! ); walking around your house to go to the kitchen/bathroom; or meandering down to the mailbox. Unfortunately, this is not enough activity to mitigate PD symptoms or slow down the progression of the disease. Every body needs strength training, but people with PD have special considerations. We like functional movement strength training for people with PD because this type of exercise actually translates into real-life movement. It’s the opposite of isolating muscle groups. Functional strength training keeps the whole body connected, so you are loading your muscles for everyday movement that uses balance, coordination, and integrated muscle function. Sitting and working muscles in isolation will strengthen the exact muscle you are working. But that’s it. It might be great for bodybuilders who are getting ready for a competition. But people with PD need more systemic integration. And you won’t get that by sitting on gym machines. Maintaining flexible muscles and joints will offset stiffness and rigidity. After you’ve worked your muscles with strength training, we want your muscles to recover to their optimal resting length – not too short and locked up, and not too loose with insufficient tension to move well. So stretch *after* you strengthen. Balance/Gait training is one of the most important things you can do. Falls happen in up to 70% of people with Parkinson’s. And hip fractures are 3.2 times more likely to occur in the PD population that those without PD. So you can see why balance/gait training is one of the most important aspects of your exercise program. Focus on proper weight shift. The back leg propels onto the front leg. The front leg should be primed to accept the weight, with gluteal muscles activated. Often, we see clients who have slow-firing glutes, so they aren’t as stable as they could be when they walk. The heel strikes first during the initial phase of walking. No foot dragging! Practice walking backwards (with assistance). Practice safe turning around (with assistance). Practice tight-rope walking, with inner thighs and the outside of the hips squeezing in toward the midline to help with balance. To learn more about making important improvements to your Parkinson’s Disease exercise program, call us to see how we can help you. We’ve helped people with PD take back their life, finding ways to work with their bodies instead of against them. We are expert certified personal trainers in New York City. We help people maximize their body’s potential-- so they can get strong and powerful from the inside out. © BodySmart Personal Training, LLC. All Rights Reserved.